It is perhaps easy to forget now but when I joined Mentor one of the first things I learnt was that more young people had died from volatile substance abuse than all other drugs put together. That’s probably not true any more and certainly the number of young people dying from VSA has fallen considerably. All of this has been documented by the annual report on VSA deaths in England and Wales compiled by St George’s University, the latest of which has figures up to 2009. 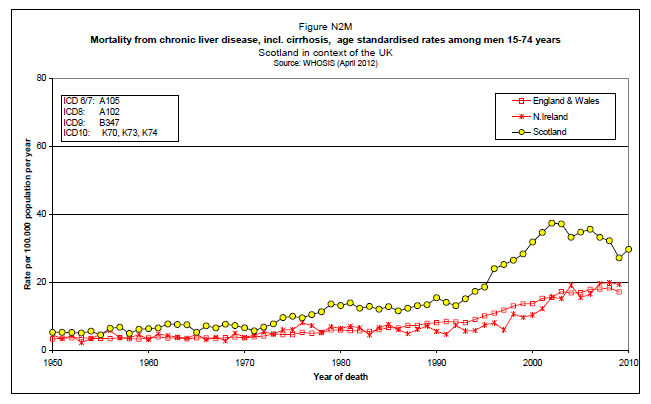 As you can see from the graph above young people still make up a considerable proportion of those who die – just over one in four – but the long term trend has been down. 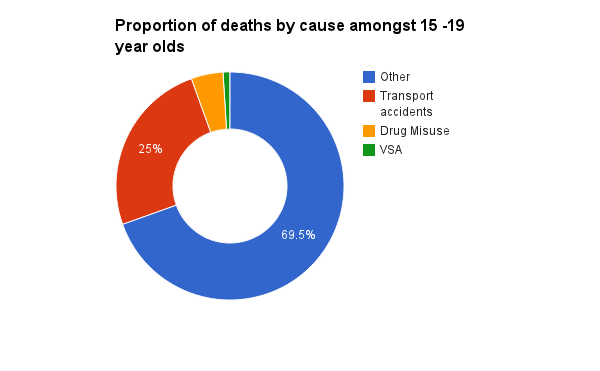 In 2009 there was no death in the 10-14 years age-group, but at the 15-19 years age-group VSA deaths accounted for 1.0% of deaths from all causes. In the same year, transport accidents (which are by far the most frequent cause of death), accounted for 11.9% of all deaths at age 10-14 years and 25.0% of all deaths at age 15-19 years. 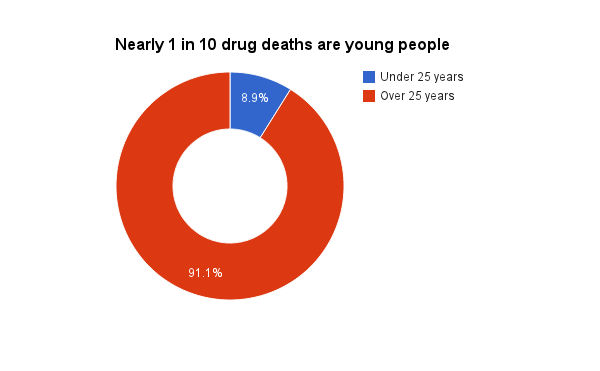 Deaths associated with drug misuse accounted for 0.5% of all deaths in the 10-14 years age-group and 4.5% of all deaths in the 15-19 years age-group. There is clearly something to be learnt from how young people have been prevented from coming to harm from volatile substances even as we work to make sure that even fewer families suffer the sorts of tragedies that these statistics reveal.